Home » Blog » What Is Autism? The month of April is Autism Awareness month and April 2nd is National Autism Day. During this month many people will be wearing the color blue and participating in fundraisers and activities geared towards spreading Autism Awareness. Over the years Autism has become more and more common of a diagnosis. In 2018, 1 in 59 children were diagnosed with Autism. Autism does not always look the same, but instead specific behaviors are required to receive the diagnosis. A person with an autism diagnosis usually has challenges in the areas of social skills, communication, and repetitive behavior. Autism is a spectrum of mild to severe behaviors. The behaviors can range from someone who is able to live completely independent to another who will need assistance his whole life. 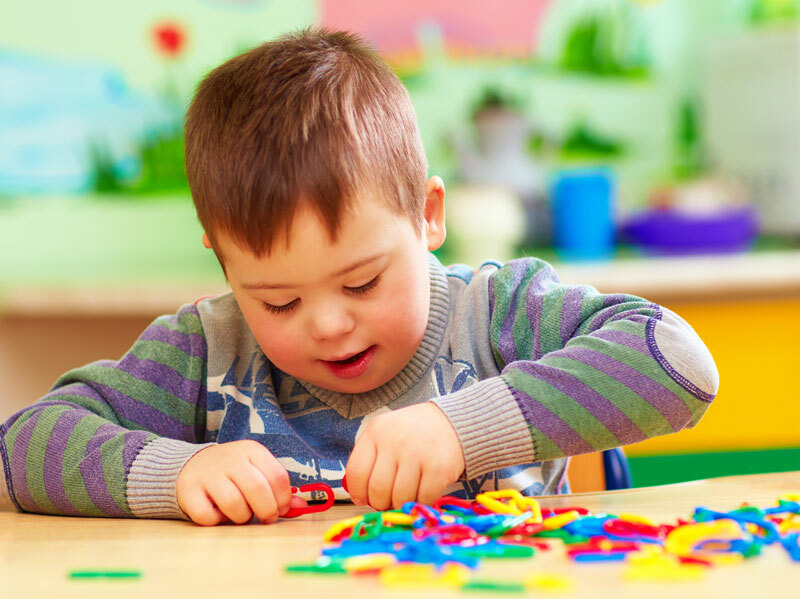 Behaviors commonly seen with autism are lack of eye contact, difficulty in social situations, sensitivity to sensory situations, repetitive behavior such as hand flapping, difficulty with communication, and difficulty with changes in routine. Where a person falls on the spectrum is dependent on the severity of these behaviors. A person with mild symptoms of autism may need help with understanding inferences, how to appropriately greet a person, or learning unspoken social cues. Someone who has more severe symptoms would need more intense training in areas such as speaking, learning daily living skills (e.g. learning to use utensils, independence in the restroom), or intervention for self-injurious behavior. There are not physical features to distinguish if a person has autism and those with the diagnosis do not have all the same set of behaviors. For some it is less obvious that they have autism. To be diagnosed a person must meet a certain set of criteria that ranges in severity. Deficits in developing, maintaining, and understanding relationships.